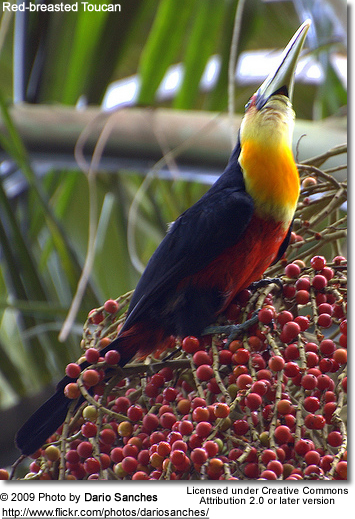 The Red-breasted Toucan or Green-billed Toucan (Ramphastos dicolorus) is a South American toucan that occurs naturally throughout central, southern and eastern Brazil, eastern Paraguay and far north-eastern Argentina. It inhabits Alantic forests. This species is one of the more commonly seen species and is considered to be of least concern by IUCN. 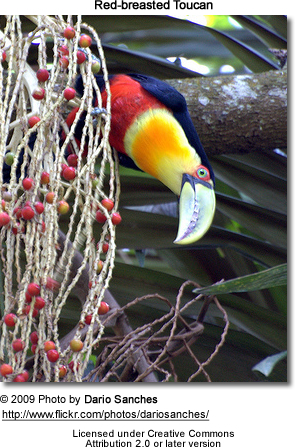 The Red-breasted Toucan's name is derived from the large area of red feathers found on its belly, while its chest is orangy-yellow with yellow sides. 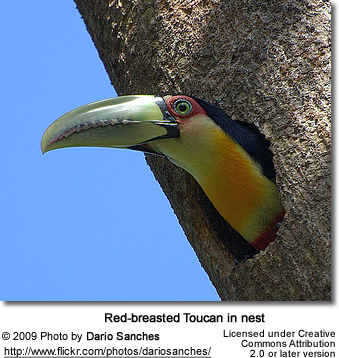 The bill is mostly pale green and this toucan is, therefore, sometimes referred to as the Green-billed Toucan. 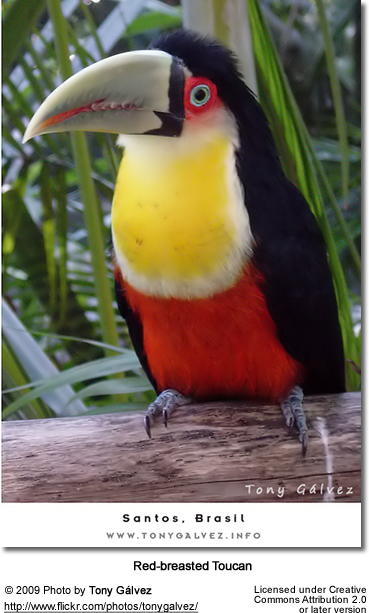 The Red-breasted Toucan is one of the smaller species of large black toucans, weighing approximately 350 grams. 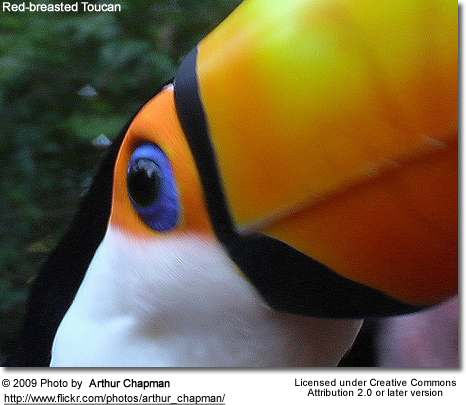 Its bill is also shorter than those of most other toucan species, averaging only 4 inches or 10 cm n length. After 16 days the nestlings are born blind, with no trace of down on their pink skin. 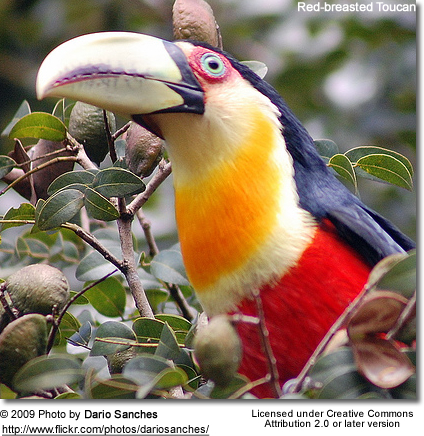 The bill is unremarkable until about 16 days old when it takes on the distinguishing features of the toucan, and requires up to four months to develop fully. Feathers begin to expand at 4 weeks.